HOW CAN ONE LITTLE SHIRT BE WORN IN SO MANY WAYS? 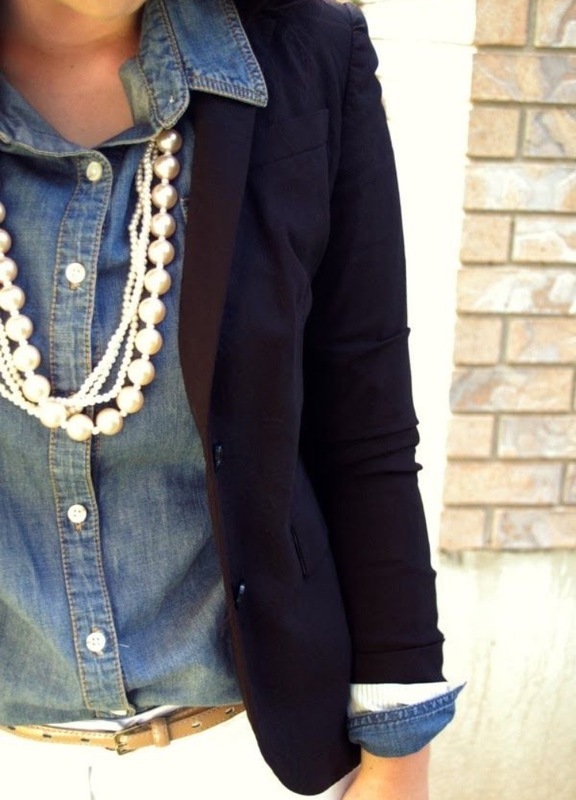 I think a good chambray shirt is a must in everyones closet! It is such a simple yet comfortable way to change up an outfit and make it even more stylish. Of course chambray can make for a great casual look. Paired with white denim, pop of color shorts, layered over a patterned shirt or layered with a moto jacket in the fall. If you were unsure whether or not chambray can be made acceptable for work, good news, it can! 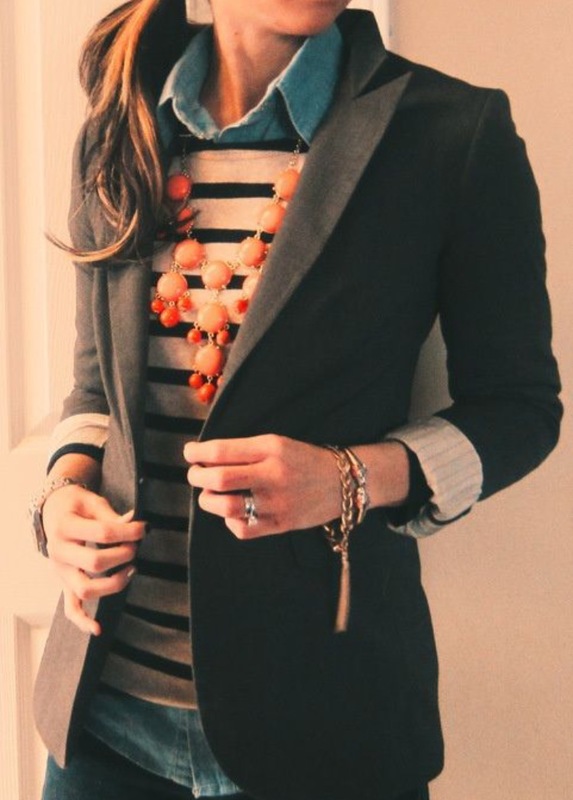 A blazer and necklace can make a great statement, for something more chic trying pairing your denim shirt with a pair of high waisted pants in a bold color, or a patterned pencil skirt. In the cooler months go for layers with a sweater and a blazer. Who doesn't want their outfit to go from day to night? Here are some tips to make that work with your chambray. Why not combine 2 great trends this season? The floral bohemian maxi skirt with chambray is both beautiful and elegant. Another great idea is to pair it with a stylish deconstructed blazer, and don't forget your statement necklace. 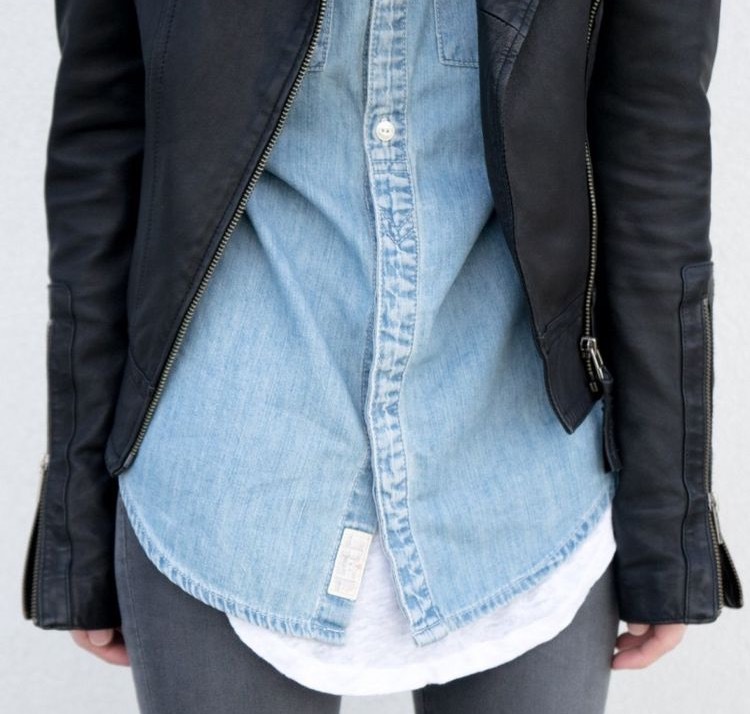 I also really like using the denim shirt as a light jacket, pairing that with a tank top and some layered long necklaces is the way to go. Last but not least.....sequins! I think pairing something really dressy with something really casual is a great combination and can take you from daytime straight to dinner or a night out.